Living in Florida, I am picky about the ripeness and sweetness of bananas. We have a variety here, and I am not particular to very sweet or soft bananas. This is part of the reason I don't go for the Manzano, the short stubby little banana, which in a bunch looks like a baby's chubby hand and fingers. I like the old standby banana: the Cavendish. This is the banana we all loving call the "Chaquita" banana. It's the most popular banana in the US. 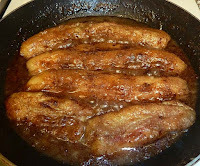 I also like Plaintains cooked or fried, but that's another article for this blog. Back to the Cavendish banana. When I used to run, before I busted up my knee, I ate a Cavendish banana about thirty minutes before I hit the road. I found it gave me a lot of energy and bananas I've since learned are packed with electrolytes. However, I like my bananas on the green side. No mushy, overly sweet bananas. Give me a firm and not too sweet Cavendish any time. 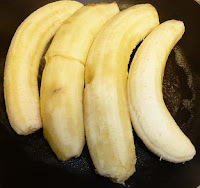 So, sometimes, when I buy a bunch of bananas at my grocery store and keep them in my kitchen for a few days, I find that in our South Florida heat, especially in the summer, they ripen up very fast. I hate to lose food, so I have to do something with these "too ripe" bananas. Enter my mother's sweet banana recipe. While I don't like sweet uncooked bananas, I adore sweet cooked ones. She makes these little suckers in sherry, sugar, butter, and cinnamon for a delectable treat! They make an excellent side dish for pork, chicken, and pasta and are rumored to be one of Prince Charles' favorites. 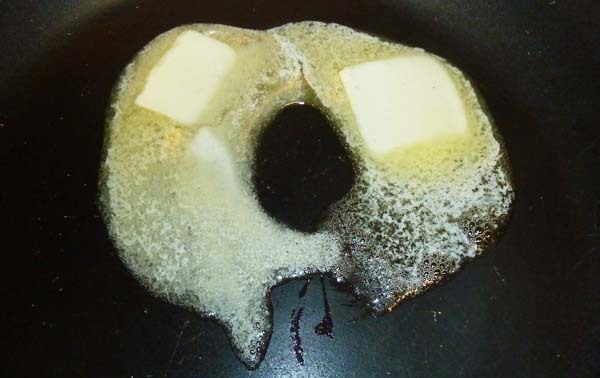 Begin by melting the butter on low heat in a saucepan. Once the butter is melted add your peeled bananas to the pan. This reminds me of sautéing, except sautéing is done at high heat quickly. 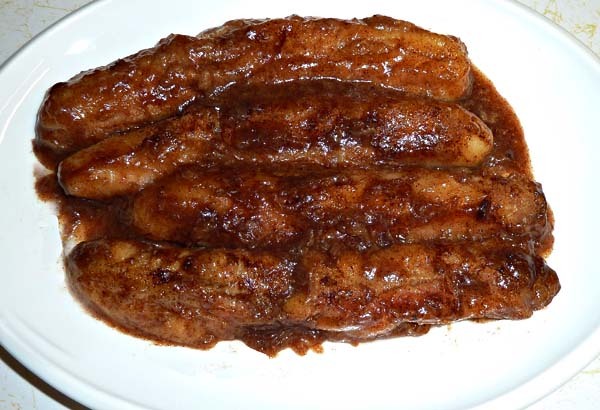 The idea here is to brown the bananas slowly, at low heat, so they can absorb the flavors. Let the bananas cook and brown. They will begin to release liquid. It can take about five to ten minutes for them to begin to brown. You want to turn them over from time to time so that they brown evenly on both sides. 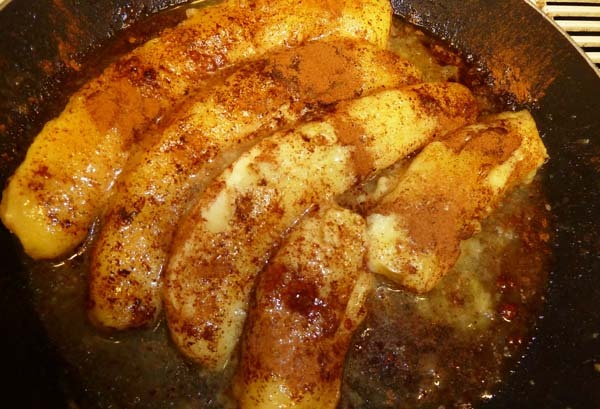 When your bananas have browned add the sherry, sugar, and cinnamon. Let them continue to cook for about twenty to thirty minutes and keep turning them over as they cook. The bananas will shrink in size and continue to release juices. They will slowly absorb the flavors of the sugar, cinnamon, and sherry. The key here is patience. When the bananas are tender to the fork and the sauce around them has reduced and thickened, you are ready to remove the bananas from the flame. I'm afraid I am a "food snob" when it comes to bananas. I like them that perfect YELLOW...no brown spots, etc. So, I will have to try this recipe! I usually rescue my overripe bananas by making Hawaiian banana bread but will definitely like an alternative! Thanks for sharing the recipe. I have an address. Do they travel well? My! My! Mamey Ice Cream. © White Line Productions Inc. 2011. Simple theme. Powered by Blogger.